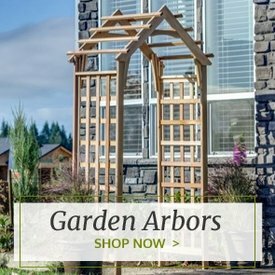 High-quality outdoor furniture is truly an investment, and you want to do everything you can to protect it. 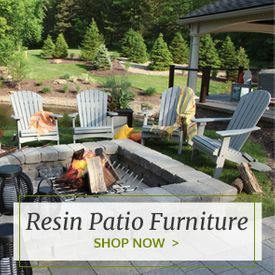 While all of our outdoor d�cor items are constructed using the absolute best quality materials and crafting technologies available, we recommend light maintenance for both new outdoor furniture as well as antique care and restoration projects. 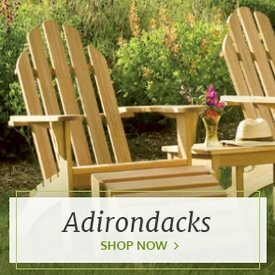 Whether you want to further protect and preserve your teak furniture or safely change the color of your wood pieces, this selection of and wood furniture care products includes just what you need. Ideal for restoring old pieces of furniture or touching up a spot here and there, our Natural-Kote Wood Stain provides a gentle, trusted solution that helps to preserve the integrity of the wood. Available in a huge assortment of rich finishes, Natural-Kote Soy-Based Wood Stain is a pet- and child-safe wood stain that rejuvenates, preserves and protects all wood surfaces. Natural-Kote also makes a high-quality soy-based satin sealer that penetrates and absorbs into the surface of the material to provide a protective bond layer. Natural-Kote products are Green Building and LEED compliant and made with renewable resources for an earth-friendly approach and added peace of mind. 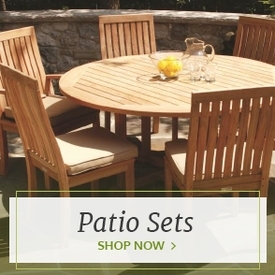 Our teak furniture care products are specially designed to help you get the most out of your teak wood patio furniture without the risk of darkening or compromising the wood or finish. Featuring a fast-drying formula that lasts four times longer than teak oil, our teak protector prevents unsightly black spots on teak furniture and also helps resist mold and mildew accumulation. We also carry teak cleaner that quickly restores weathered teak furniture back to its original color using a highly-concentrated solution that's water-based and gentle. All of our teak care products are non-flammable and environmentally friendly. 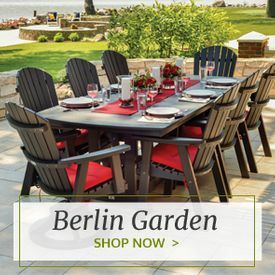 Specially formulated to work with all kinds of Poly and Resin based furniture, our cleaners and protectors from Berlin Gardens ensure the best results with the least amount of effort. Also by Berlin Gardens is a fabric cleaner ideal for exterior fabrics. No matter the quality of the fabric, dust and bugs still land on them. Keeping them cleaned off on a regular basis will lengthen the life of the color and quality of your cushions. From protection to light and extreme cleaning the cleaners will take the surface of your Resin furniture back to it's beautiful color.